Peas are polarizing. You either love them or have traumatizing flashbacks of not being able to leave the dinner table until you finished every last cold globe of green mush. I get it. 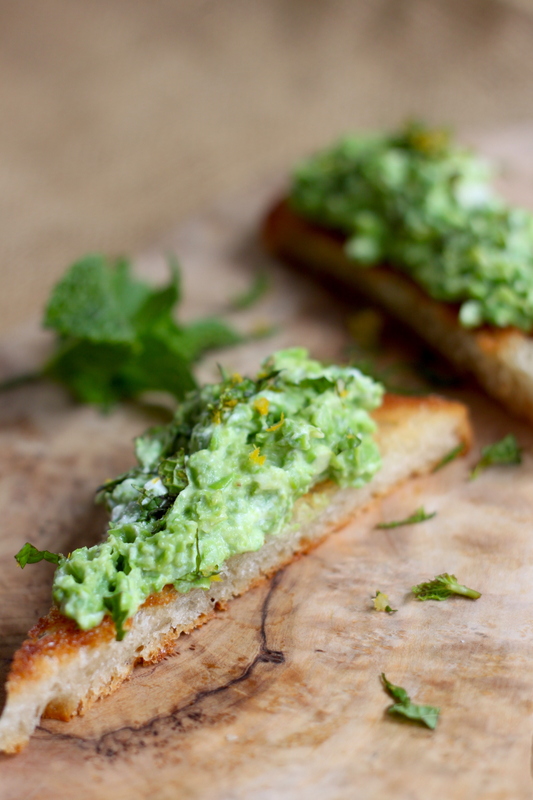 Don’t let any preconceived notions of peas get in the way of you trying this pretty tasty summer snack. 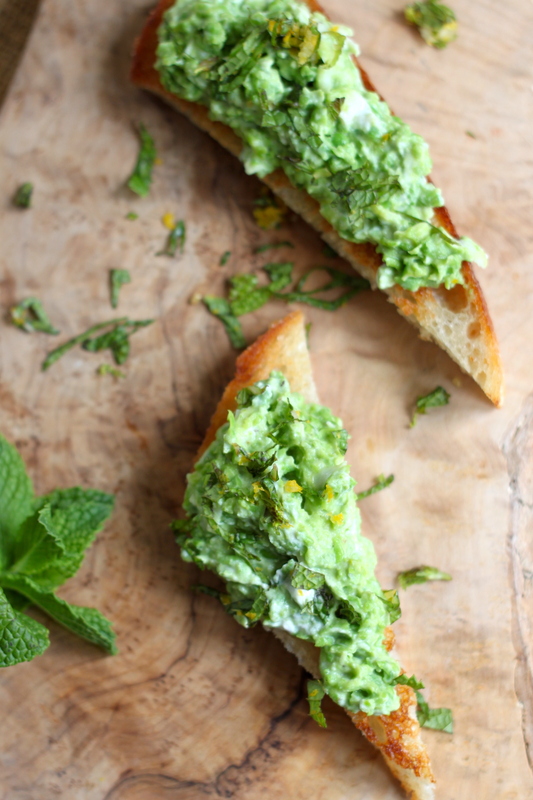 I came across a whole load of fresh peas at my produce market and thought that I should do something amazing with them – they really take this to the next level but frozen peas will also do the job quite nicely. The key is salt and mint – they make all the difference in the world. Peas are polarizing. You either love them or have traumatizing flashbacks of not being able to leave the dinner table until you finished every last cold globe of green mush. I get it. 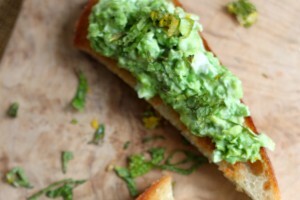 Don’t let any preconceived notions of peas get in the way of you trying this pretty tasty summer snack. I came across some a whole load of fresh peas at my produce market - they really take this to the next level but frozen peas will also do the job quite nicely. 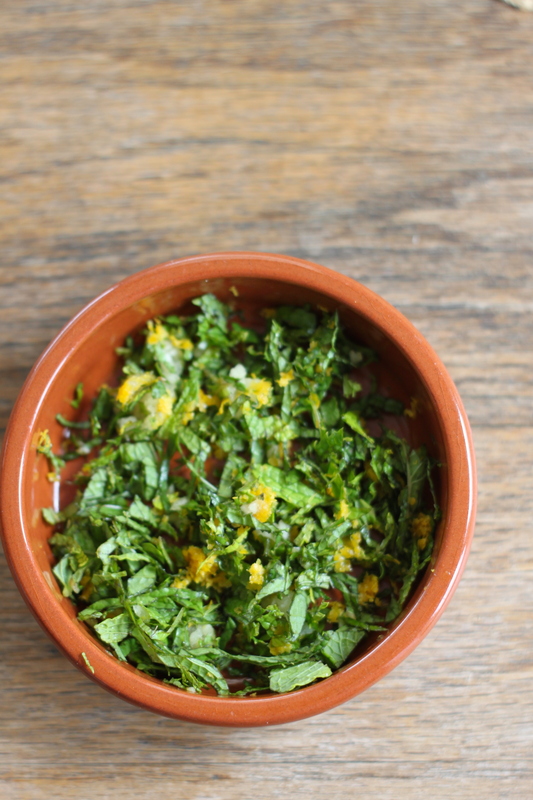 The key is salt and mint - they make all the difference in the world. 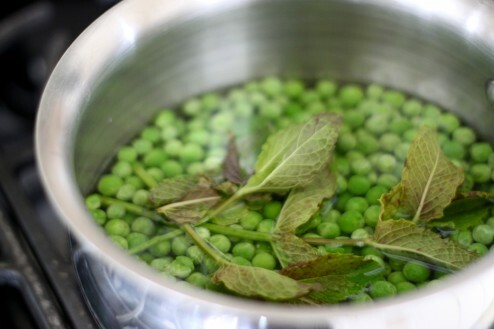 In a medium saucepan, add the peas, water, salt and mint. Bring to a simmer then remove from heat and drain, removing the mint. 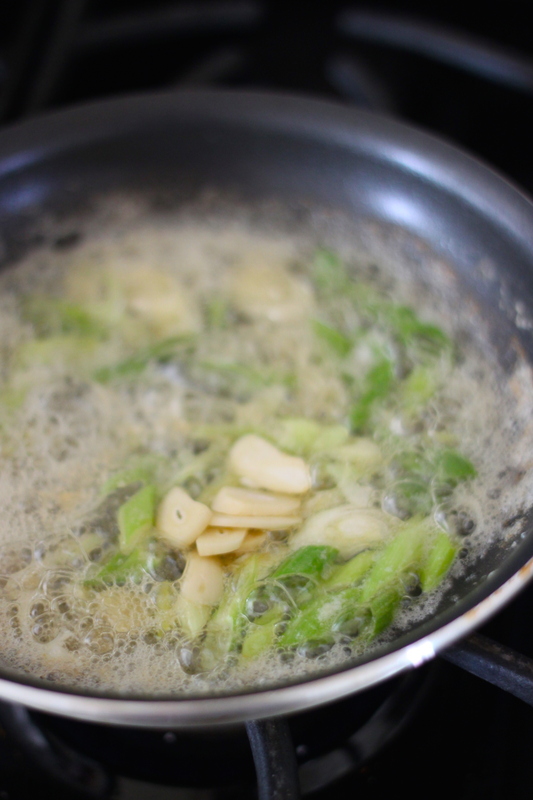 In a small saute pan, add butter, scallions and garlic and cook for 3 minutes on medium high. Add in drained peas and cook for approximately 3 minutes. Remove from heat and let cool slightly. Meanwhile, for the gremolata, mix mint, lemon zest and minced garlic together. Set aside. 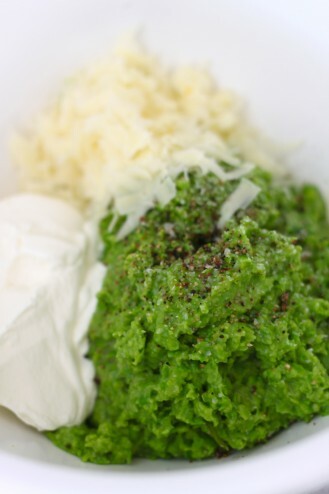 In a food processor add the pea mixture and pulse until smooth. In a medium bowl, add the pea mixture. 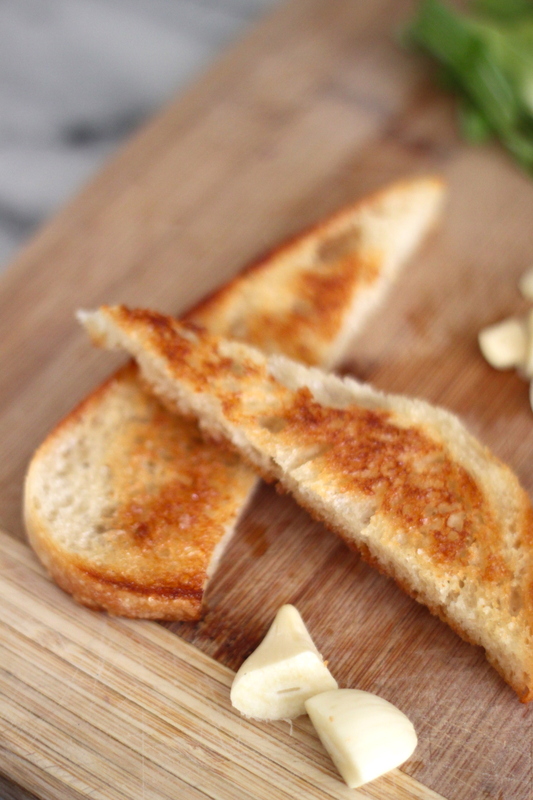 Gently fold in the sour cream and asiago until just combined. 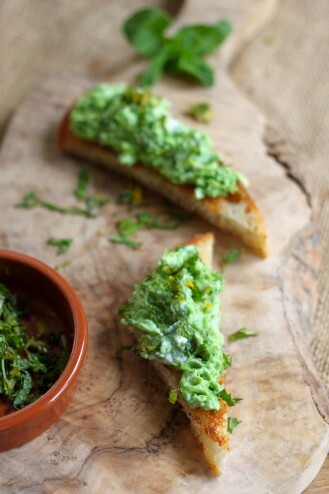 Spoon on toasted crostini and top with a sprinkle of gremolata. Serve immediately.